The AACR is the authoritative source of information about advances in the causes, diagnosis, treatment and prevention of cancer. By accelerating the growth and spread of new knowledge about cancer, the AACR is on the front lines of the quest for prevention and cure. Major source for academic journals, trade publications, market and industry research reports, company annual reports, dissertations, and working papers. Also contains country profiles and economic forecasts for most major economies. Full text of 30 journals published by the American Chemical Society. Reports findings presented at many of the most important scientific meetings around the world. Provides quick access to information before it appears in the traditional journal literature. The number of Annual Review journals continues to grow over a broad range of disciplines within the Biomedical, Life, Physical, and Social Sciences, including Economics. The creation of a new title indicates that the amount of original research in a field has reached a critical mass. Journals published by American Physical Society. Research Library provides access to a wide range of the core academic titles, from business and the sciences to literature and politics. Provides open access to over 900,000 e-prints in physics, mathematics, computer science, nonlinear sciences, quantitative biology, quantitative finance, and statistics. Content is submitted by authors/scientists. Formerly known as the Los Alamos arXIv pre-print/e-print service. This database is designed to provide easy bibliographic access to all ASCE publications. The database covers ASCE documents published since January 1970. It provides bibliographic access to all the journals, conference proceedings, books, standards, manuals, magazines, and newsletters. All journal papers are peer reviewed and are abstracted/indexed in such top services as ISI Science Citation Index, COMPENDEX, Chemical Abstracts, Web of Science and more. Online subscriptions include the complete backlist of ASTM Journals which have been digitized back to the first issue of each journal. Academic Video Online consists of thousands of streaming videos from a large number of produces and distributors across a wide range of subject areas, including art, architecture, business, counseling and therapy, dance, economics, education, ethnic studies, ethnography, gay and lesbian studies, health, history, humanities, law and public safety, literature, opera, philosophy, political science, psychology, religion, science, theater, women's studies, and more. Beck-Online provides German legal materials including German law, precedents, annotation texts, handbooks, encyclopedias, journals and legal forms etc. and Fach-News in full-text. Only three users may use the system at a time; please log-off when you have finished. Brill Journals is among the richest scholarly sources of its kind, with the full text of journal articles, covering the Humanities, International Law and Biology. Cell Press’s 11 journals, available exclusively on ScienceDirect, span the life sciences and offer both top quality and breadth of coverage. CINAHL Plus with Full Text provides authoritative coverage for thousands of journals from the fields of nursing and allied health. It covers nursing, biomedicine, health sciences librarianship, alternative/complementary medicine, consumer health and dozens of allied health disciplines. In addition, this database offers access to health care books, nursing dissertations, selected conference proceedings, standards of practice, educational software, audiovisuals and book chapters, as well as Evidence-Based Care Sheet. Database of Japanese academic articles, dissertations, and publications. Classical Scores Library contains classical music scores, manuscripts, and previously unpublished material. It includes Classical Scores Library, Volumes I, II and III. This collection covers classical musical genres and time periods from medieval to contemporary. With Dentistry & Oral Sciences Source, dental practitioners and researchers have a definitive place to start and finish their online dental research. This database offers complete coverage for top dental and oral sciences journals commonly purchased by dental schools and related institutions. Digital Dissertations on Demand(DDOD) is a collection of doctoral dissertations published by top 50 universities in North America since 1999. Searching and reading abstracts are available and 17 million full-text are available to download via RISS. Provides access to 37 electronic journals in the humanities and social sciences published by Duke University Press. Provides citations for articles and dissertations in more than 620 journals, books, and working papers on economics, plus full text for more than 560 journals, including the American Economic Association journals with no embargo. Extensive full-text education content, users will find the most comprehensive and most relevant search results.Includes content from Education Abstracts, Education Index Retrospective, Education Full Text, Education Research Complete and more than 200 additional full-text journals not previously available in any database. Publications related to management, library and information services, engineering, applied science and technology. ERIC is the source for information on all aspects of education for all age groups, including counseling, tests, and measurement. ERIC indexes journal articles, books, theses, curriculi, conference papers, standards and guidelines. The UNWTO Elibrary is an online service from the World Tourism Organization (UNWTO) with a broad coverage of tourism and related subject areas. Access downloadable, full color popular magazines that you can access 24/7 on or off campus like The Atlantic, Consumer Reports, Clean Eating, Ebony, Motor Trend, Rolling Stone, Southern Living, Wired and more. Google Scholar is a useful tool for searching through a very broad scope of articles. An ever-expanding database that specializes in offering original PDF copies of full-runs of legal collections. It includes: most major legal periodicals, federal and state statutes, court decisions, attorney general reports and opinions, federal legislative history materials, treaties, foreign & international law material, and numerous specialized legal collections. The text of collections are fully searchable and there are tools to browse or find items by citation. The largest repository of international sociological surveys and research results. You will need to create an account to download data directly. Find articles and other information from the journals, proceedings and standards published by IEEE and by the Institution of Electrical Engineers. InCites is a customized, web-based research evaluation tool that allows analysis of institutional productivity and benchmarking of Drexel's scholarly output against peers worldwide. With customized citation data, global metrics, and multidimensional profiles on the leading research institutions, InCites gives comprehensive insight into Drexel's performance. Includes visualization and reporting tools. Users must create a personal account through Web of Science to access InCites. For informations or questions about InCites. Critically evaluate and compare journals in the sciences and social sciences using citation data from over 7,500 scholarly and technical journals. Use JCR to find the most frequently cited journals, and measure research influence through impact factor, aggregate impact factor, the aggregate immediacy index, aggregated cited half-life, and the number of articles in each category. Full name of the database is Incites Journal Citation Reports. Full text online backfiles of core scholarly journals on many subjects. JSTOR's full-text coverage begins at the first issue of each journal and usually ends within five years of the present. Covers News, Legal, and Business domains. Contains full text of newspaper and journal articles, court cases, legal briefs, business information and more. A fully searchable Library of literary works of English and American poetry, drama and prose, plus biographies, bibliographies, key criticism and reference resources. Mary Ann Liebert, Inc. publishes print and online peer-reviewed journals and books on biotechnology, biomedical research/life sciences, clinical medicine and surgery, alternative and complementary medicine, law, philanthropy, environmental science and sustainability, and engineering. Access to fulltext of Mathematical Reviews and Current Mathematical Publications. The Max Planck Encyclopedia of Public International Law (MPEPIL) is a comprehensive online resource containing peer-reviewed articles on every aspect of public international law. Written and edited by an incomparable team of over 800 scholars and practitioners, published in partnership with the Max Planck Foundation for International Peace and the Rule of Law, and updated throughout the year, this major reference work, which contains over 1,700 articles, is essential for anyone researching or teaching international law. Full-text database providing access to top-tier biomedical and health journals. MLA International Bibliography offers a detailed bibliography of journal articles, books and dissertations. Produced by the Modern Language Association (MLA), the electronic version of the bibliography dates back to 1963 and contains over 1.7 million citations from more than 4,400 journals & series, and 1,000 book publishers. Leading weekly, international scientific journal dedicated to serving the scientific and medical communities and the wider scientifically interested general public. Naxos Music Library [NML] is the world´s largest online classical music library. Currently, it offers streaming access to more than 107,410 CDs with more than 1,565,400 tracks of both standard and rare repertoire. Over 800 new CDs are added to the library every month. OAIster serves as a search portal for digital collections of electronic books, online journals, audio and image files, and movies provided by the research library community. Full text of 21 journals published by Optical Society of America. OVID's Lippincott Williams & Wilkins (LWW) Journals provides an extensive collection of nursing and allied health professions journals at the time of writing. Journals in the humanities, social sciences, law, science, and medicine, two-thirds of which are published in partnership with learned and professional societies. Periodicals Archive Online is a major archive that makes the backfiles of scholarly periodicals in the arts, humanities and social sciences available electronically, providing access to the searchable full text of hundreds of titles. The database spans more than two centuries of content, 37 key subject areas, and multiple languages..
PNAS is one of the world's most-cited and comprehensive multidisciplinary scientific journals, publishing more than 3,200 research papers annually. Find millions of global dissertations and theses, dating back to 1743. Items added since 1997 generally available in full text. Project MUSE is a collaboration between libraries and publishers providing full-text access to over 300 humanities, arts, and social sciences journals from 60 scholarly publishers. The largest single periodical resource available, bringing together complete databases across all major subject areas, including Business, Health and Medical, Social Sciences, Education, Science and Technology, and Humanities. Search across more than 30 databases at one time. Full-text available. Journals and dissertations covering nursing, allied health, and alternative and complementary medicine. PsycARTICLES provides full text, peer-reviewed scholarly and scientific articles in psychology from more than 80 journals published by the American Psychological Association (APA), its imprint the Educational Publishing Foundation (EPF), the Canadian Psychological Association and other organizations. Coverage spans 1894 to present. PubMed is a database created by the National Library of Medicine to facilitate searching the biomedical literature. The MEDLINE databases found within PubMed contains journals that have been reviewed by a panel of experts for quality. PubMed also contains PMC, which contains publically accessible literature that have not necessarily gone through the same review process. Keywords: biomedical sciences, medicine, basic science, molecular biology, genetics, genomics, immunology, kinesiology, neurosciences, neurobiology, nutrition, anatomy, health. RefWorks is a bibliographic management program that allows users to create personal databases and use them for a variety of research activities. References can be quickly and easily imported into RefWorks from text files or online databases. Users can automatically insert references from their database into their papers, generating formatted bibliographies and manuscripts. SAGE Premier collection is comprised of full-text access to over 550 journals published by SAGE covering all academic disciplines, but specializing in Social Sciences. Find AAAS journals including Science Magazine, Science Advances, Science Signaling, and Science Translational Medicine. ScienceDirect is a search platform which provides access to more than 1500 full-text journals in a wide range of subject areas. SciFinder is a research discovery tool that allows you to explore the Chemical Abstracts Service (CAS) databases that contain literature from many scientific disciplines including biomedical sciences, chemistry, engineering, materials science, agricultural science, and more! Includes access to current, high-quality scientific information and capabilities for exploring substructures and reactions. Scopus is a good starting point for finding articles on almost any topic. It contains over 47,000,000 records to scholarly publications, trade publications and conference proceedings. Scopus is an excellent database for cited reference searching. It does not contain full text articles, but users can get access to full text by using the Get It button. SIAM publishes peer-reviewed research journals and is the leading source of knowledge for the world's applied mathematics and computational science communities. Siku Quanshu Online is undisputed as the single largest collection of literary works in the world. Compiled by edict of China’s Emperor Qianlong during the period from 1773 – 1782 its title translates to Complete Library in Four Branches of Literature. True to its name it includes 3,460 works with a total of more than 36,000 volumes. Covers scholarly publications in sociology, social work, and related fields. Contains 2.3 million articles and other materials (64% in full text) with deep coverage from 1960 and some back to 1882. The SPIE Digital Library is the world's largest collection of optics and photonics applied research. With more than 485,000 papers spanning biomedicine, communications, sensors, defense and security, manufacturing, electronics, energy, and imaging, the SPIE Digital Library is the most extensive research database available on optics and photonics research. Covers the topics of sports, physical fitness, sports medicine, nutrition, exercise physiology, sport & exercise psychology, recreation, leisure studies, tourism, occupational health & therapy, public health and more, on an international scale. Content includes academic journal, magazine, and trade publication articles, books, conference proceedings, research papers, and reports. Fulltext online versions of hundreds of journals published by the Springer-Verlag. Each journal includes mission and subject coverage details. Find journals published by Thieme. Journal subject areas include medicine, biology, and chemistry. Database of the latest legal developments from Japan. Through partnerships with publishers and newspapers, the database provides acces to court cases, legislation, literature and legal journals. Only one user may use the service at a time, so please log off when you have finished. Journals in the social sciences, the humanities, education, and the biological, medical, and physical sciences publilshed by University Chicago Press. Searchable database of the entire run of the U.S. edition of Vogue, featuring color page images, covers, advertisements, and fold-outs (1892 to the current month). Search scholarly literature in the sciences, social sciences, and humanities. Web of Science is a terrific place to begin for research in the sciences. Also includes citation analysis tools. Contains legal, news, and business-related subjects. Newspapers & legal materials are featured, including cases, statutes, and regulations of the U.S. government and the various state governments; includes the legal encyclopedia American Jurisprudence 2nd and American Law Reports; case law from 1789 to present; current statutes and regulations. Search a range of Journals, Reference materials, and eBooks in life, health, and physical sciences; social science; and the humanities. Provides original texts and translations as medicine databases, medicine books, etc. 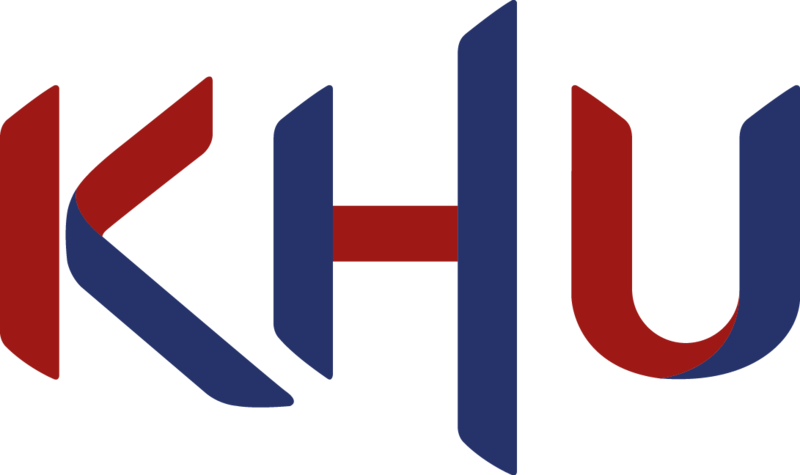 Reuired to sign up with KHU email domain. Please adhere to the fair use guidelines of electronic resource in order to protect the multiple users of goodwill and stabilize the service. When violation, please note that it may be disadvantaged.Since electronic resources subscribed in the library are protected by copyright, only reasonable use for personal use is permitted.